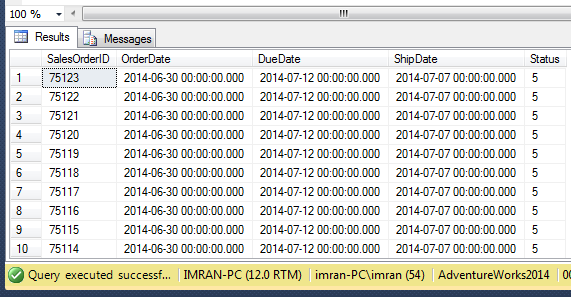 « SQL SERVER – Fix – Error : 262- SHOWPLAN permission denied in database. This is an interesting variation of the ORDER BY…CASE.. solution that has been floating around for a long time, but unfortunately, it suffers from the same defects. SQL Server will try and convert all the four columns included in the ORDER BY statement into a single datatype before it can compare them. This means that you could see unexpected behaviour (integers being sorted as strings, for example) or worse, a type-conversion failure. This solution works well when all sortable columns have the same data type or you are able to cast each column to the same datatype in a sensible manner. For example, if you are casting all of them to varchar, then make sure dates are converted in YYYYMMDD format, otherwise your sorting may go wrong.